The Mission Point Lighthouse Friends, in conjunction with Bowers Harbor Vineyards, is in the midst of their annual art competition in which artists are invited to design a wine bottle label featuring Mission Point Lighthouse. They’re down to the final three artists in the competition, and they need YOUR help to choose the winner. The final vote will be cast and the winner revealed at the 4th Annual Lighthouse Wine Label Awards Reception at Bowers Harbor Vineyards on Friday, April 12, at 6 p.m. The event costs $10 and includes three wine tastings, hors d’oeuvres, and an opportunity to vote for the artwork of your choice. The winner will be chosen by popular public vote, via cash donation, of those attending the event (so bring extra cash to vote for your favorite). The winning entry will be featured on Bowers Harbor Vineyards’ “2019 Lighthouse Pinot Grigio” to be issued this spring. 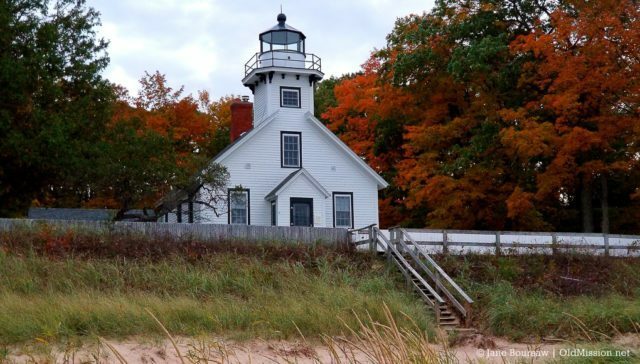 This is a major fundraising event for the Mission Point Lighthouse Friends, with funds used for improvements to Mission Point Lighthouse‘s building and educational displays. Bowers Harbor Vineyards is located at 2896 Bowers Harbor Road on the Old Mission Peninsula. Visit their website here. For more information about this event, email Mission Point Lighthouse Friends, missionpointlight.friends@gmail.com.